Everyone has a defining gift. For Michael Genesis, the First Osguard of the Universal Science, Security and Trade Association of Planets -- USSTAP, that gift is vision. Similarly, Billy Red, the street thug, murderer, pimp and drug dealer, that gift is ingenuity. When their paths cross as teenagers, Michael and Billy become embroiled in a rivalry that leads Michael to becoming the First Osguard. and Billy dying by his hands. However, eight years after the Tuit War and on the eve of the birth of a new USSTAP, where Michael planned to design a new universe and lay out a path for humanity to begin its journey to another level, he is attacked. During the attack, Michael is accidentally transported to another reality where USSTAP and the Osguards don't exist. Now Michael has to fight his way back to his reality or be trapped in a reality of living in an economically poor, crime and drug infested neighborhood, while being chased by his old enemy -- Billy Red. 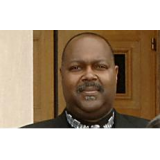 Founded by Malcolm Petteway, Rage Books LLC publishes science fiction, fantasy and horror. Malcolm published three books through Iuniverse between 2001 and 2004 while he was in the military. After retiring from the military, Malcolm looked to begin his writing career in earnest. James Barnes came on board as the chief editor and between the two of them they decided to release Malcolm’s literary agent and begin Rage Books. Malcolm and Jim saw Rage Books as a publisher of trade paperback books for the new and struggling writer with a unique story. 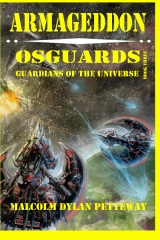 With the aid of family and friends, Malcolm launched Rage Books with his first Osguard book, Homecoming in September of 2009. Since then, Malcolm has printed second editions of the second and third books, Revelations and Armageddon, and released the fourth book in the series Revenge. With these novels as the launch pad, Rage Books’ goal is to grow and eventually contend with other independent trade publishers of science fiction, fantasy and horror, like Tor, DAW and Baen publishing. Everyone has a defining gift. 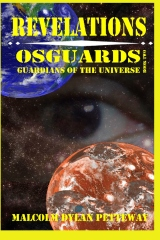 For Michael Genesis, the First Osguard of the Universal Science, Security and Trade Association of Planets-USSTAP, that gift is vision. 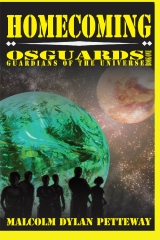 Just as Michael is being prepared to assume position as Chief Executive Osguard and President of the Universal Science, Security and Trade Association of Planets, a space storm causes havoc, sending him to an alternate universe. Similarly, Billy Red, a street thug, murderer, pimp and drug dealer, becomes intertwined with his world situation. When their paths had crossed as teenagers, Michael and Billy became bitter enemies. Billy Red carries his thirst for revenge to the end. In this fourth entry, the author spins a complicated plot in which the main character must deal with political intrigue in the universe, as well as survive on Earth in a drug infested neighborhood. It seems that everyone is out to kill him, including Billy Red. Personally, I felt the author was at his best in military war strategies and space battles, and was a little distracted by the urban fantasy element in the adventure. But the story was well told, and kept my interest throughout. The Star Trek Prime Directive element didn’t escape me, either. I even got a kick out of the main character’s “escape phrase”. There is one closure at the end concerning Earth, but I’m not sure if this is the final volume in the series, or if more stories are planned. I can certainly see possibilities for future novels in the series, but would like to see the author move away from the urban background on Earth, and give us a better look at the many worlds comprising his universe; the galaxies, planets, moons, and races that inhabit them.